Food gardening was once viewed as an activity generally restricted to the elderly and country bumpkins. However, growing fruits, vegetables, berries, and herbs has become increasingly popular for many people. According to the National Gardening Association, 35% of U.S. households grew food at home or in community gardens in 2013, a 17% increase compared to 2008. During that period, the number of millennial gardeners grew more than other age groups, and urban gardens outnumbered those in rural areas. 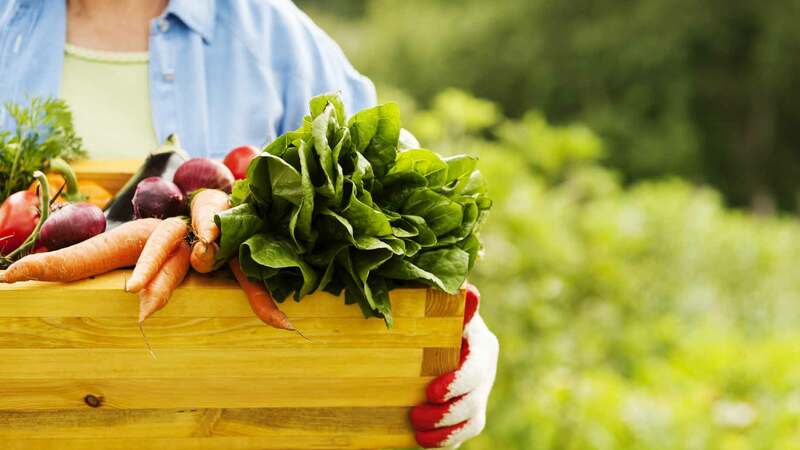 The savings that can be enjoyed by growing your own food have certainly contributed to this increased interest, but they’re not the only reason. More people have come to realize that homegrown foods taste better and allow for a certain degree of control over food quality concerns, including the use of pesticides and artificial additives. Gardening can make a real difference for your fridge and your finances. According to the National Gardening Association, you can grow a half-pound of produce per square foot of garden space. And in 2008, on average, gardeners earned a $530 return on a $70 investment in a garden. However, the key to those results is a well-maintained plot. Growing food is commonly oversimplified, and many people start without a strategy or a realistic idea of the time and money that’s required. Some suffer through season after season of disappointing results, while others get disillusioned and quit gardening altogether. 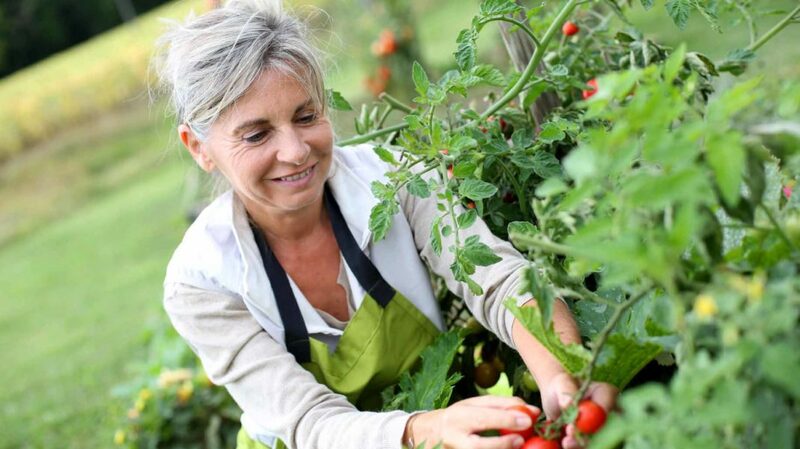 Thankfully, whether you retired your gardening gloves after one season or you’re seeking a better outcome, there are many ways to improve. Many people randomly pick a spot, start planting, and wait for food to grow. Plants have preferences though, and gardeners shouldn’t ignore them. Before you start a home garden, you should analyze your location and consider what kind of plants you’re trying to grow. Check plant packages and catalog descriptions for details on ideal conditions for sunlight, water, planting zones, and more. Some edibles tolerate partial shade, which ranges from four to six hours, but the plants often grow smaller, render smaller produce, and are less productive. When planting in shady areas, you may need to increase the number of plants you grow to get the desired yield. However, that may be a worthwhile tradeoff because fewer weeds grow in shade. The U.S. is divided into planting zones that show which plants are likely to thrive in each area. Use the USDA ZIP Code search tool to identify your zone, or look for a zone chart in a plant catalog. Trying to raise crops outside the recommended zone is a gamble. And in many cases, unless you’re willing to invest in simulating the appropriate conditions, it’s almost a sure waste of money. Yes, citrus trees may survive outside of their zone, but getting them to bear fruit is a different story. Soil can be sandy, clay, or loamy, which determines how well your plants grow and how prone you may be to experiencing plant diseases and root rot. To determine what you’re working with, grab some soil, wet it, and try to form a ball. Armstrong Garden Center says soil that crumbles or doesn’t hold shape is sandy. Soil that’s slick and stays tight is clay, and soil that forms a loose ball is loamy. Many gardening stores can also help you identify your soil type. Plants do best in loamy soil, which has a proper balance of clay, silt, and sand and provides good drainage. If your soil is clay or sandy, add soil amendments, such as compost or peat moss, to add nutrients and correct its structure. Or, consider container or raised-bed gardening with purchased soil. Before starting an in-ground garden, conduct a soil test – and re-test it at least every three years. The results tell you about characteristics that affect fertility, such as organic matter content and pH, nutrient, and salt levels. A soil test can shed light on past growing difficulties so you know how to correct issues instead of taking wild guesses. Soil problems include elevated levels of heavy metals, such as aluminum, which can be toxic to plants. Or, soil may have inadequate nutrients, such as phosphorus. According to the University of Nebraska-Lincoln, phosphorus deficiency can result in stunted plant growth. A soil test also helps determine which crops are appropriate for which soil. For example, according to Purdue University Extension, many plants thrive in soil with a pH of 6.0 to 6.5, but that isn’t ideal for blueberries, which like soil acidity levels as low as 4.5. A plant’s package should tell you what type of soil it prefers. If not, check an almanac or conduct a quick Internet search. Additional garden plots or containers may be necessary to accommodate crops’ differing soil preferences. Soil tests are available at gardening centers, through local cooperative extensions, and soil testing labs at universities. You should also consider additional factors that may affect your gardening decisions. For example, the threat of chemical runoff from a field or neighboring yard, or soil contamination caused by past industrial activities like mining, may mean it’s most appropriate for you to opt for container gardening or a raised-bed garden. Other factors to consider include elevation, the location of your septic system, your garden’s distance from a water supply, and proximity to large, established trees that compete for water and nutrients. Once you assess environmental factors, such as growing zone and soil, it’s time to focus on your planting strategy. According to the National Gardening Association, container gardening grew 46% between 2008 and 2013. Container gardening is easier than in-ground gardening in many respects. Since you’re using potting mix, you don’t have to prepare your soil before getting started. 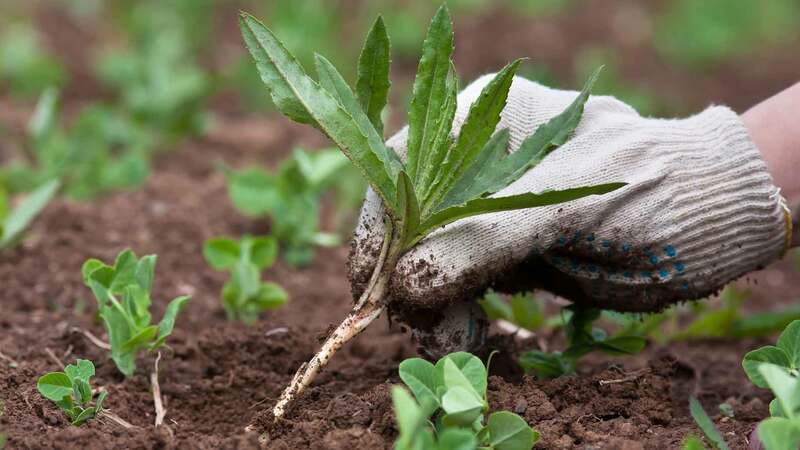 You are likely to have far fewer issues with weeds, if any at all, and it’s easier to protect container crops from threats, such as animals and wind or frost damage. Container gardening resolves issues with space, allowing people to start gardens on patios, decks, rooftops, and in other alternative settings. Drainage. If you select containers that don’t drain properly, you can drown your plants. Always use containers that allow proper water flow, with holes around the bottom outer sides. If most of the holes are beneath the container, you must elevate it, at least on one side. Soil Porosity. Soil structure is especially important with container gardening, as it also affects proper drainage. The University of Georgia Cooperative Extension explains that soil in containers has less capillary pull to encourage moisture downward, and the lack of porous soil encourages fungi that can rot your plants’ roots. Soil porosity also affects aeration. Your plants must have the proper amount of air circulating through the soil to grow properly. Container Size. According to the Cornell University Cooperative Extension, many new gardeners underestimate the size container necessary for full-grown plants. Crowded roots can lead to stunted growth and reduce or prevent yield. Water also evaporates more quickly from containers than the ground, so if you slack on watering, you may be harvesting dried plants instead of food. When getting started, use cheap materials such as trash cans, buckets, and plastic pots – just remember to add holes to the bottom. If you find you’re not committed to gardening, you won’t have wasted much money. Many people have learned the hard way just how much container gardening can cost. Consider the amount you spend on containers, trellises, soil, and other materials as investments. If you spend hundreds of dollars, how many years must you garden to see a return? I have a friend who spent about $270 on fancy containers and soil for one season, and then decided gardening wasn’t her thing. That doesn’t even include the cost of the plants. She would have done much better to experiment with in-ground gardening first. You can stock your garden using seeds, seed pods, or starter plants. Your choices influence your costs, workload, and crop selection. Loose seeds provide the widest variety and are the cheapest option. At least 20 or more seeds generally come in a pack, and some packs contain hundreds. For many crops, you won’t need to use all your seeds in one season – but don’t throw them away. According to Oregon State University Extension Service, many seeds can last from one to five years or longer if stored in a cool, dry place. Buying long-life seeds and using them over multiple growing seasons translates into a good long-term garden investment, reducing your costs to pennies or less per plant. However, raising an entire garden from seeds is not for everyone, especially people with limited experience or issues with time and space. Planting seeds is a longer garden-to-plate process than using starter plants, and requires more skill, knowledge, and work. It often means getting started earlier in the season, depending on crops’ planting times. For example, eggplant and peppers need to be started about eight weeks before your last frost. Like many other seeds, they need to be started indoors where you can control growing conditions. Starting indoors requires sufficient amounts of adequately lit space. According to Burpee, if you can’t expose your seeds to 6 to 10 hours of sunlight, you need to use fluorescent or full-spectrum lights, which generally have to be on for 12 to 16 hours per day. Heavy reliance on seeds is best for experienced gardeners or those with a lot of time. If you’re busy or have limited space, use seeds primarily for crops you can’t get as starter plants. Focusing strictly on costs could still result in wasted money because your garden could get out of hand before it’s off to a good start. These growing kits allow you to start at the seed stage but are easier and more convenient to work with than loose seeds. The fertilizer and all growing materials are included in the pod, and the seeds are already positioned so you don’t have to worry about digging and placing them at the proper depth. Simply push the seed pod into dirt, and water it until your plants grow. Seed pods are more expensive than loose seeds, yet cheaper than many starter plants. In 2015, I bought Miracle-Gro Gro-ables pods for about $1 each. One pod usually produces two or more plants, so it averages out to paying cents per plant. However, some negatives with seed pods are limited selection of crops and a shelf life of less than year. Seed pods also have many of the same challenges as loose seeds, including the need to weed around tiny seedlings when started in the ground. Seed pods are a good option when you only need a few plants, especially if you don’t have anyone to split a pack of loose seeds with – but the seeds have a single season lifespan, like spinach seeds. Buying starter plants is the quickest, easiest way to start a garden. Since you don’t have to wait and see if a plant emerges, it also provides the most certainty. Crops in cell packs often average out to less than $1 per plant and may even be cheaper than seed pods. Otherwise, starter plants are the most expensive planting option. Plants sold individually generally cost several dollars each, which can add up fast if that’s the only way you stock a large garden. With that said, starter plants save a lot of time. You can begin gardening weeks or months after seed-sowers and still harvest about the same time. It’s an ideal choice for most of a busy gardener’s needs. Whatever your choices, start small and expand your garden size as you gain experience. Also, grow things you like to eat – too often, people get excited by the options and waste money on crops they don’t use. Use Propagation Methods. Division and stem, branch, and rhizome cutting methods allow you to grow new plants from existing plants. Collect Seeds. Gathering seeds from the current season’s crops cuts down on costs for the upcoming season. Some plants aren’t good candidates for seed collection. Research your crops to learn which you can collect from and the best method to do so. Storing seeds is generally easy. The University of Michigan Extension advises storing each type of crop in individual paper packets. You can make the packets from the corners of envelopes. Then, put them in a glass container with either silica gel or a sachet of powdered milk to absorb the moisture, and keep the container at temperatures between 32 degrees and 41 degrees. Stop Replacing Garden Products on Your Own Dime. 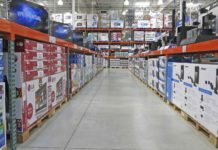 When plants die prematurely or don’t grow at all, take advantage of replacement policies and money-back guarantees, which are commonly offered by plant companies and retailers. For example, Burgess Seed & Plant Co. offers a one-year replacement guarantee on any item that does not grow or that you’re dissatisfied with, as long as you have the original shipping label. Grow Perennial Crops. Planting more crops that come back reduces your annual spending. Perennial crops include asparagus, blackberries, watercress, and avocados, along with herbs such as oregano, thyme, and chives. Just remember to delay tilling the soil the following season until your plants emerge. Think of your garden as a community. Aren’t there certain people you prefer to have – or avoid – as neighbors? Plants feel the same way. Companion planting is a technique that involves placing crops together that benefit each other. For example, corn stalks provide support for beans, and beans help corn get nitrogen that improves growth. Chives improve the growth and flavor of apples, berries, tomatoes, and carrots, while carrots also benefit from onions and leeks because they repel carrot flies. Likewise, you need to keep nasty neighbors separate. Sage injures cucumbers. Garlic, onions, and shallots stunt beans and peas, and kohlrabi and tomatoes have a similarly negative effect on one another. Also, avoid planting crops together that suffer from similar struggles, such as pest and disease. Tomatoes and corn attract the same worm, while tomatoes and potatoes are susceptible to the same blight. Most beginning gardeners don’t naturally know which plants are friends or foes, but companion planting guides are widely available for free on the Internet at websites such as Mother Earth News. Plant crops in a square formation instead of rows – a method known as block planting. According to Colorado State University Extension, block planting increases yield by 5-fold to 15-fold depending on the crop. Block planting has other benefits including conserving space, reducing weeds, and minimizing foot traffic, which leads to soil compaction. Colorado State University Extension recommends making each block at least three to four feet wide. The blocks can be any length you desire as long as you can equally space your plants. The recommended spacing for each crop is usually listed on the package or in plant catalogs. For example, carrots only need one to three inches of space, whereas cauliflower needs 18 to 24 inches. Adequate space is important because over-crowding reduces air circulation, which promotes disease. Vertical planting involves growing things upright instead of allowing them to sprawl out. You can use fences, trellises, or a net hung between stakes for crops like cucumbers, spaghetti squash, pole beans, and peas. Many vine plants naturally cling to and climb vertical items they come into contact with. Vertical planting saves a lot of space too. It keeps your crops off the ground, which reduces susceptibility to rotting, pests, and disease, and having your plants growing vertically makes weeding easier. Another benefit of vertical planting is it makes harvesting a cinch since your produce is more accessible. This is especially true for people who may have problems bending or squatting, and therefore might be discouraged to plant crops such as green beans and cherry tomatoes. Not all gardeners get a return on their investments. In fact, many garden at a loss. To avoid being among that crowd, focus on all areas of garden spending. Yes, you can find all kinds of fancy tools and cool gardening gear in stores, but many of those items are frills. For example, peat pots and other store-bought starter containers are not necessary to grow seeds. Any type of flower pot or shallow containers should work, even a milk carton. 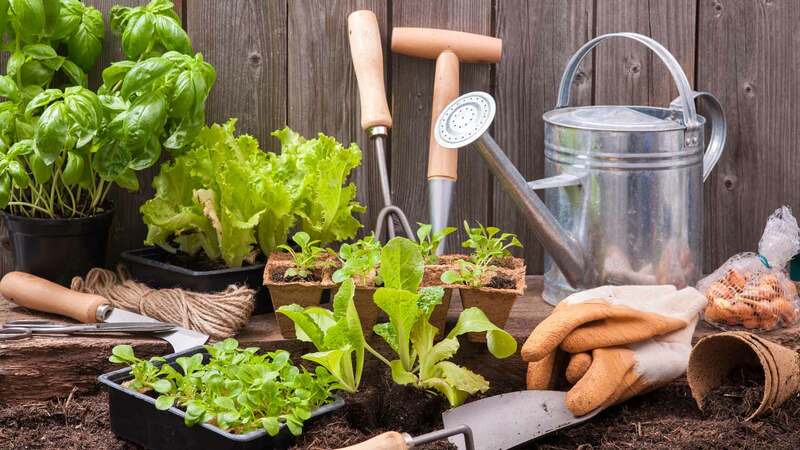 What you need depends on what you grow, but for many gardeners the list of “needs” is limited to gloves, a few basic and inexpensive hand tools, such as a hand trowel, hoe, and round point shovel, and maybe a few pieces of pricey equipment, such as a tiller and wheelbarrow. Don’t go the cheap route if products seem unlikely to last or be effective. If most wheelbarrows are running $90 and there’s one that’s only $40, do some research. You don’t want to waste money, increase your workload, or sabotage your results playing trial-and-error games with garden supplies. Instead of buying chemicals, use pest deterring plants. According to Missouri Botanical Gardens, the Pyrethrum listed in insecticides is chrysanthemums, so just plant those flowers to deter aphids, Japanese beetles, and root knot nematodes. Borage, dill, petunias, sunflowers, and scented marigolds are other examples of plants that deter pests. Plus, plants can attract many beneficial insects, such as bees and ladybugs. Instead of chemical fertilizers, which are often associated with health risks, you can make compost or homemade fertilizers from kitchen scraps, leaves, cardboard boxes, and manure, and you can make your mulch from simple items like leaves and grass clippings. Mulch is a helpful material that should be placed on top of the ground in a ring around your plants, several inches away from the plant’s body. Mulch has numerous functions, such as reducing fluctuations of soil temperature, preventing soil compaction, and smothering weeds. According to the University of Georgia Extension, during the peak of the summer, a 10-by-20-foot garden requires about 200 gallons of water per week, or more for a raised-bed garden. Watering a garden can strain well-users’ supply and become a major cost for municipal water users. Learn to conserve water and find alternative sources. The Environmental Protection Agency advises using drought-tolerant plants and native plants, which are adapted to local soil, and watering them with a handheld hose – which typically reduces water usage by 33% compared to irrigation systems. Water your garden in the evening or in the morning when temperatures are cooler to reduce evaporation, and stop any runoff you notice occurring. Collect rainwater and water from the bath or sink, and use water from free natural sources, such as a pond or lake. Also, use mulch – according to Colorado State University Extension, mulch reduces irrigation needs by about 50% because it locks moisture in the ground longer and reduces evaporation and runoff. Getting to the point of harvesting often feels like the mission is complete, but care and skill are still needed to protect your plants and attain maximum yield. Read your plant packages or search online to find out how big your crops are supposed to grow and to determine when they’re ready for harvesting. Picking your produce as soon as it’s ripe encourages a higher yield. Some crops, such as many varieties of beans, are best picked slightly before reaching maturity. For a crop like basil, you should notice a major difference in yield and vigor if you harvest often. Resist the temptation to over-grow your crops, as well. Bigger is not always better. For example, Burpee says root vegetables are best while small and young because they get tough, woody, and more pungent as they get bigger. Keep watch for damaged produce or other plant parts while you’re harvesting and remove them immediately. Damaged parts sap unnecessary energy and nutrients and promote disease, which is why you need to avoid breaking stems or vines when harvesting. According to the University of Minnesota Extension, if you wound produce in the field, it can develop infections that do not show symptoms until after storage, and those infections can spread to other produce. Harvesting while your crops are wet is another no-no because it also promotes disease. 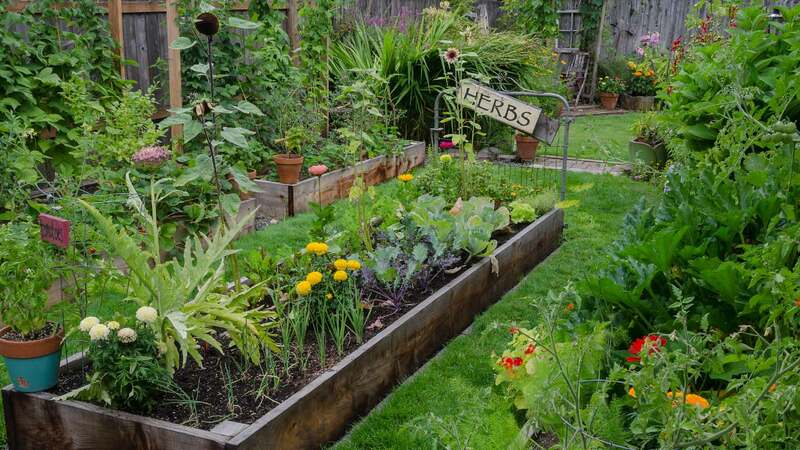 Many gardeners grow more food than they want to eat during the growing season. If you allow this food to go to waste, you reduce your financial return. It also threatens plants because many people aren’t motivated to harvest the portion of crops they don’t want and allow them to linger, which can break the plants and stunt production. Fortunately, there are things you can do to avoid food waste. This planting technique helps gardeners avoid having too much of the same crop at once. Instead of planting all your plants or seeds, put in small amounts in phases so harvest times are spread throughout the growing season. For example, baby leaf lettuce should be planted in seven-day intervals, while escarole should be planted in two-week intervals. Use a succession planting guide, such as the one provided by Johnny’s Selected Seeds to learn the appropriate planting intervals and determine whether it’s too early or too late for planting particular crops. Also, be aware that you can use succession planting to alternate crops if you would like to mix up what you’re growing. Use techniques that allow you to save your produce so you can continue enjoying savings even after the growing season. 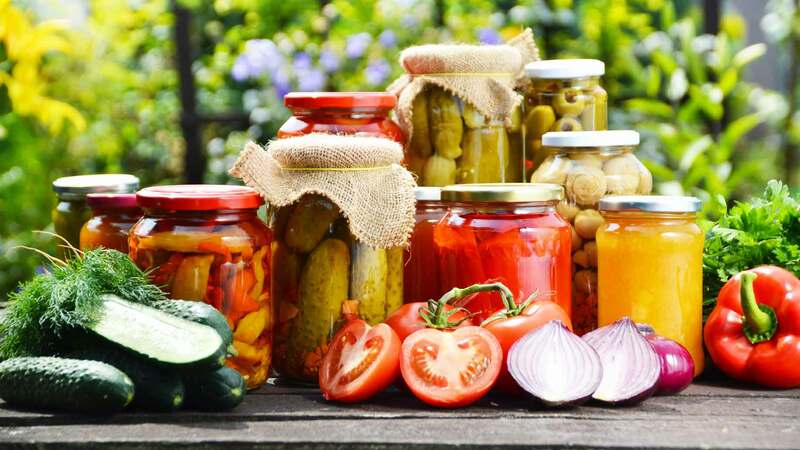 Canning works well for crops like asparagus, lima beans, beets, pumpkin, and okra. Freezing is a good option for broccoli, leafy greens, peppers, rosemary, and basil. And drying also works well for foods including tomatoes, peppers, carrots, mint, and oregano. Gardening with others allows you to split the harvest and the work. There are many community gardens now flourishing across the nation – in fact, the National Gardening Association says the number tripled from 2008 to 2013. If there isn’t one in your area, consider starting one, or just share a garden plot with a neighbor or relative. Donate extra produce to a food bank or charity. Sell it to your acquaintances, at a farmers market, or to restaurants that source locally, which is an increasingly popular trend. Use it to barter for a car wash, hedge trimming, or goods from other hobbyists, such extra seafood caught by recreational fisherman. I can personally attest that this exchange system works. If all else fails, simply use the extra produce to make compost. According to The Food Project, most gardening occurs between April and the end of October. 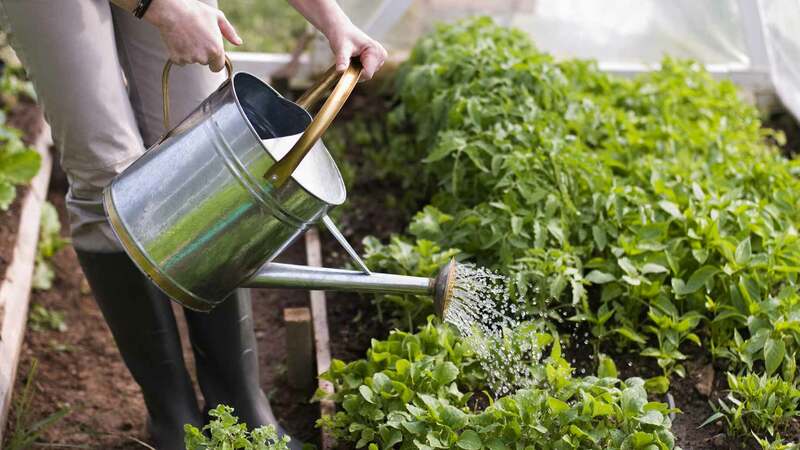 Wring more results from your garden by starting earlier and gardening later into the year than you normally would, or garden year-round if you’re highly driven. To be an early starter in a region that gets cold, find out the date of the last frost in your area. Each state has participants in the Cooperative Extension System, which can provide you with this information. Find your local extension by using the United State Department of Agriculture‘s location map. Once the last frost has passed, you can start planting even if it’s still chilly. Colorado State University Extension advises placing plastic over the soil where you’re planting to warm it. By doing so, depending on your area, you can start producing up to four weeks earlier than normal. Black or colored plastic work, but clear plastic is the best soil-warmer. However, clear plastic also promotes weeds, which colored plastics reduce. You can leave the plastic around crops such as cucumbers, squash, and melons during the growing season, but for most other crops, remove the plastics to avoid making the soil too warm. Garden work doesn’t start or stop with the growing season. Remove weeds and dead plants, and till your garden at the end of the season to expose diseases and uproot insects that may otherwise hang out until spring. 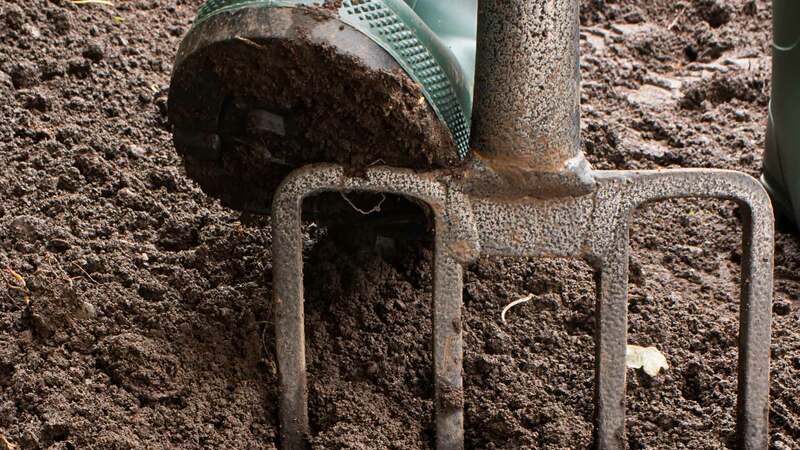 Prepare to amend the soil while it’s idle by adding compost, manure, or lime. Spreading a layer of organic mulch or planting a cover crop, such as annual ryegrass, oats, clover, or buckwheat can rebuild your soil and protect your plot against erosion. Learn how to winterize your perennial plants. Depending on what you grow, you may need to prune, protect, or cover them before winter sets in. If your winters bring freezing temperatures and harsh weather, tender perennials, such as rosemary, won’t survive, so they need to be potted and brought indoors. Make a record of what was planted where because you shouldn’t plant the same crop family in the same spots the following season. Garden.org warns that if you plant crops from the same family in the same location year after year, you’re bound to get a buildup of soil diseases and insects that attack those plants. Guides for plant families and crop rotation are available online from sources such as Virginia Cooperative Extension. Start each new season with a garden plan that you’ve thoughtfully outlined during your off-time. 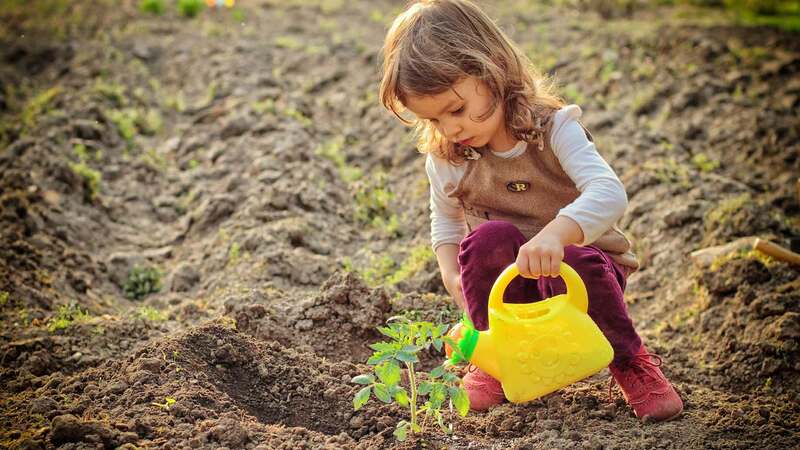 According to the National Gardening Association, the number of households with children participating in gardening grew 25% from 2008 to 2013. If you haven’t gotten your children involved, ask them to join in. Gardening provides children with valuable time outside and is a great source of exercise. Plus, the ability to grow food is an excellent skill that can teach many other valuable lessons and habits. Cornell University compiled an extensive list of research showing how gardening benefits children. It helps them develop a positive work ethic by teaching traits such as patience, responsibility, and teamwork. It improves environmental and nutritional awareness, and promotes healthy eating. Gardening also provides the opportunity for you to teach your child lessons about household finances and money management. The National Gardening Association’s data showed a surge among new gardeners in 2009, the year First Lady Michelle Obama introduced the White House Kitchen Garden. The following year, those numbers dipped, which suggests some people jumped into gardening without realizing how much work is involved. Skill and technique are definitely key in the equation for a successful garden, but no one starts out as a master gardener. Gardening is a learning process, so stick with it, and be proud of your improvements each season. Do you have any ideas to help improve gardening results?